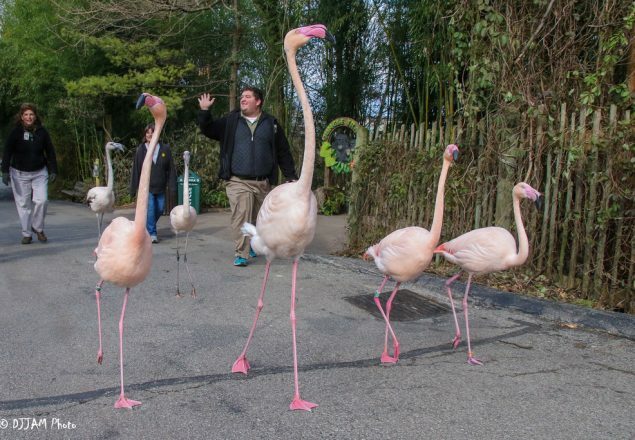 Interpreters take the flamingos for a walk. I’m sure anyone who has been to the Zoo at least once has seen a Zoo employee holding or walking an interpretive animal ambassador on grounds. This person is called an interpreter and that is exactly what they do – interpret the information they know about that particular animal and share it with you and other visitors. Here’s the thing though, not a lot of people really know how much work is put into this. As someone who has only just recently learned about what it takes – the art of interpretation – as part of my Education lab rotation, I can personally say that this topic never crossed my mind. Let’s start with the basics and go back to school. Before anyone can go out into the park to interpret an animal, they must learn about it. To do this, you read different documents that tell you everything about them. Every animal has their own natural history document, which is a collection of information about where they live, what they eat, how long they live and so on. Each animals also has their own individual biography which talks about their behavior and other information specific to them. While these are important things to know, just because you know about the animal doesn’t mean you are ready to handle it yet. The next step is animal handling training. Every animal species has a different handling procedures. 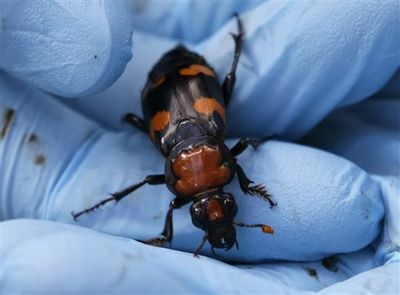 These are specific instructions on how to hold them, how to carefully get them out of their homes, how to transport them, how long they are allowed to be out, how warm or cool it must be in the area you are handling them, how to put them back in their home, etc. Then, it is time to practice, practice, practice. Practice makes perfect. 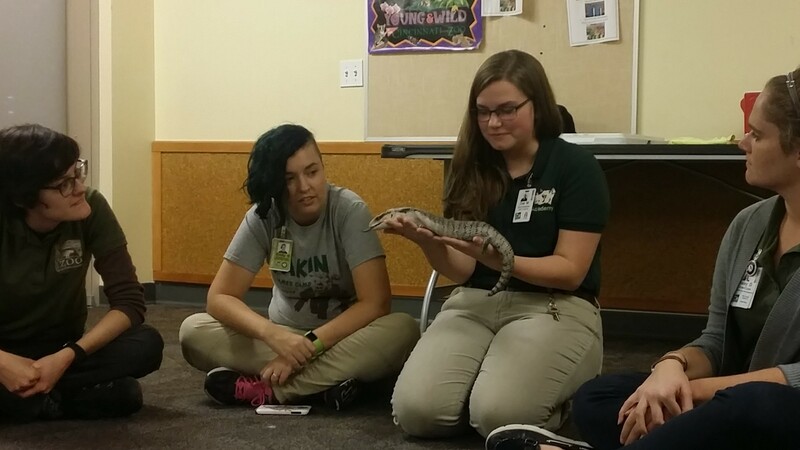 Zoe handling Marvin, a blue-tongued skink, and practicing her interpretation skills with Education staff. Now that you’ve fulfilled the handling requirements, you are ready to learn to interpret an animal. The actual act of interpretation isn’t a simple one and I learned this through experience. 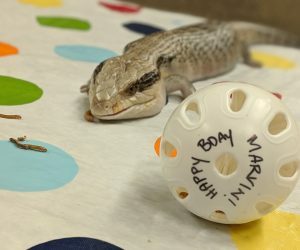 I got to handle a blue-tongued skink named Marvin. I read everything I needed to know and I got trained on the proper way to handle him. Then, I went out into the Discovery Forest at the Zoo to interpret him to visitors. Some of my interpretation was even filmed for a local news story about the Zoo Academy! As people would stop to look at Marvin, I would start a conversation, tell some of the facts that I know, and they would ask me questions. I didn’t expect some of their questions and I didn’t even know the answer to some of them. That is actually the best way to become a pro, though. Eventually, you learn about things that visitors want to hear and find different ways to get them involved in the experience, like asking them questions. It may sound odd at first to be asking the visitors questions, but you never know what someone else might know about the animal you are handling. This also gets them to look a little closer and to think a little harder. The last thing I would like to share with you is why we even bother with live interpretation with animals when there are signs everywhere that give information – especially when we have to put so much work into the live interpretation process! Interpretation is how we connect with our visitors and how we are able to connect our visitors to the animals we love so dearly. We want to share what we know so that other can learn to love these animals as much as we do. Watching a child’s face light up as they get up close to an animal they may not have seen or possibly touched otherwise is such an amazing feeling. I love being able to interpret. I know that people aren’t going to remember all of what I’m telling them, but even if they just remember one thing, I’ll know that I was able to open a door for them. Interpretation is an art and I love every part of it and hope that I have brought a better understanding of it to you. The next time you visit a zoo and see someone holding an animal, don’t be scared to ask every single question you think of. I can’t promise that we will know the answer, but I can promise that all involved will love every part of it. 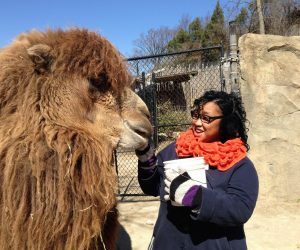 Zoo Staff Passion Projects Awarded Conservation Grants: Oh, the Places the Zoo Goes! 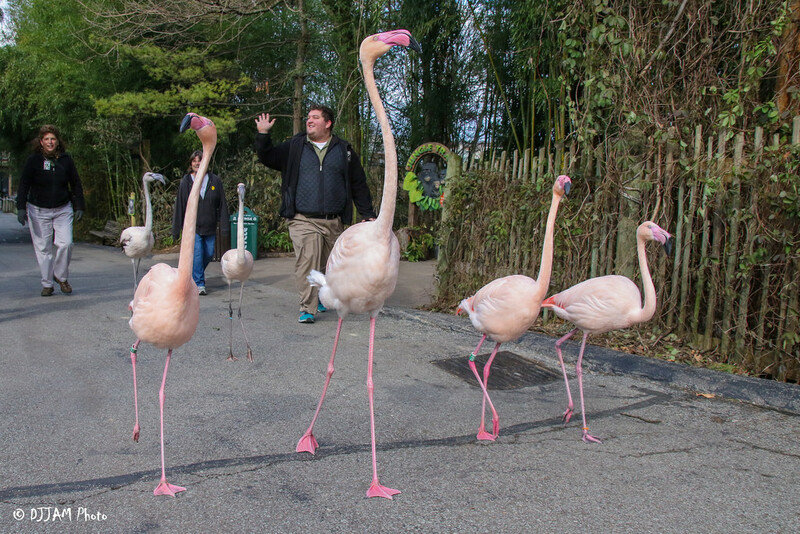 PS: We really do have the BEST ZOO! 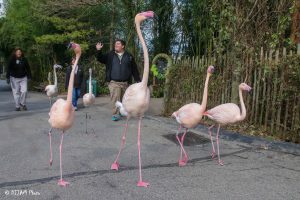 I have never encountered as many animals on the grounds with interpreters in any other zoo. So proud of you Zoe!!!! Thanks for sharing your experience with us Zoe. That is a super cool opportunity to teach others about science. Looking forward to following your future blogs. Way to go! Thanks, Zoe! It’s an amazing amount of work that’s needed to write an article like this. You did a wonderful job! Thank you for all your work. I love to go to online sites to learn about the animals. An insight into the work that goes on behind the scenes is an eye-opener. I’ll be reading more for sure!